Butterflies! Are you a fan of Sia? I am! I purchased her album months ago and I freaking love it from start to finish. 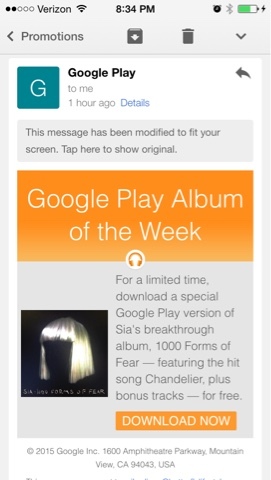 If you haven't downloaded Sia's sixth studio album - 1000 Forms Of Fear now would be a great time to do so, 1000 Forms Of Fear is being featured as the Google Play Album of The Week which means you can download this entire album for FREE! Sia is an Australian singer/songwriter/record producer/music video director whose music genres include: pop, electropop, trip hop, and acid jazz. My top two tracks off the album..."Dressed In Black" and "Chandelier". CHECK OUT THE MUSIC VIDEO FOR CHANDELIER!